Alpha Math Learning is a local Barrington math tutor offering private instruction for students that are interested in sharpening their math skills. Alpha Math Learning is owned and operated by Mr. Patel. Mr. Patel is certified with the Illinois State Board of Education and American Tutoring Association. As a local tutor and private instructor in Barrington, Alpha Math Learning is familiar with the curriculum's adopted by all of the local school districts for all grade levels. We maintain working relationships with many teachers in the local school systems, as communication with private tutors such as our selves and our existing clientele's teachers, is welcome by the School District. Most parents realize the importance of providing a solid foundation for their child's education. This is why Alpha Math Learning offers local math tutoring programs in Barrington, IL 60010 & 60011. We specialize in standardized test prep Math for ACT, PSAT, SAT; SAT-Math Level 1 and SAT-Math Level 2 subject tests and Algebra-I. If you are seeking a local home schooling instructor in Barrington, IL 60010 & 60011 to assist your student in furthering their education and math skills, then we can help. At Alpha Math Learning, Instructor Mr. Patel gives precise instruction to the students so they understand the outcomes of the problems provided. He has students demonstrate what have been taught as we go through each problem and concept respectively. He lets the students solve individual problems independently offering guidance as needed. Thus Instructor gets to unlock the potential in each student in order so they can learn the study material effectively. If you are seeking a local math tutor or private instructor that is personable and passionate about teaching math then look no further. Mr Patel possesses a background as a leading classroom math teacher, trainer, mentor for over five years. He has been teaching since February 2009 at all the school levels to college level Math involving Algebra, Geometry, Trigonometry, Pre-Calculus, Calculus and Standardize Math Test programs such as ACT/SAT/PSAT-Math, AP Calculus etc; at two learning centers (and later as an Independent Educator) in Chicago area to a very diverse group of students. 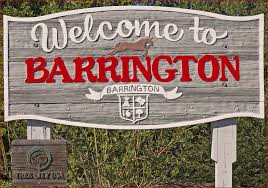 In 2016 U.S. News Ranked Barrington High School 29th within Illinois: Click here to see the full article. In 2016 the Daily Herald reports: Barrington schools send out annual layoff notices. Click here to see the full article. As an educator, it has always been my desire to join a solid Non-Profit organization whose goal is to help young Americans obtain a college education and yet sets stringent standards for the certification. And finally I was able to fulfill that aspiration which aligns with my dedicated interest in the field of education. I am Certified College Consultant by Heartland Institute of Financial Education (HIFE). I will provide initial consultation absolutely free and go over HIFE College Planning Program. Please contact me for the No-Obligation meeting in your local area! The Heartland Institute of Financial Education (HIFE) is a National 501 (c) (3) Non-Profit organization whose mission is to promote financial literacy across North America. Our mission begins with HIFE College Planning. It is the goal of HIFE to help students obtain a college education. HIFE College Planning supports the efforts of high school students and parents by helping families accurately assess their child’s aptitudes and interests. The Heartland Institute’s College Planning Coaches work directly with students by using these assessments to select the proper major and proper college. Not selecting a suitable major or appropriate college will, often times, cause 4-year degree program to take 5 years, or even longer!